Thereâ€™s a cast-iron rule with any vaguely-Fantasy setting: thereâ€™s always a Thief. It might be called a rogue, or an assassin, but itâ€™s always there: a dagger-wielding, shadow-dwelling, be-cloaked figure of dubious morality. 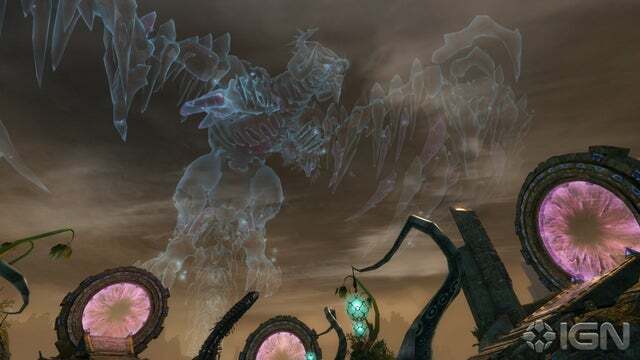 Guild Wars 2 is no exception to this rule, but the GW2 thief comes with a couple of unique selling points. First of all, some of the thiefâ€™s skills will be determined by the precise combination of main hand and off-hand weapons she wields, which is pretty cool. That means you can choose whether to fight like Drizzt Doâ€™Urden with blades of equal length, or like his nemesis Artemis Entreri with one long blade and one short (If you havenâ€™t read any of RA Salvatoreâ€™s Forgotten Realms novels then that reference will be lost on you, but take it from me â€“ itâ€™s cool). The other great â€œtwistâ€ on the thief class is the way a thief can steal from her opponent. â€œBig deal,â€ I hear you cry, â€œnothing new there.â€ Ah, but there is. You see, the thief steals from her opponent in the midst of combat, and can then use what sheâ€™s stolen as an improvised weapon. For example, when stealing from a moa bird, a thief might get a handful of feathers that they can throw to blind enemies around them. It sounds like tremendous fun, but I donâ€™t think itâ€™s the profession for me. Somehow it just feels a bit too gimmicky, and I suspect a lot of players will roll thieves. Call me contrary, but Iâ€™d rather go for something that wonâ€™t be as popular.